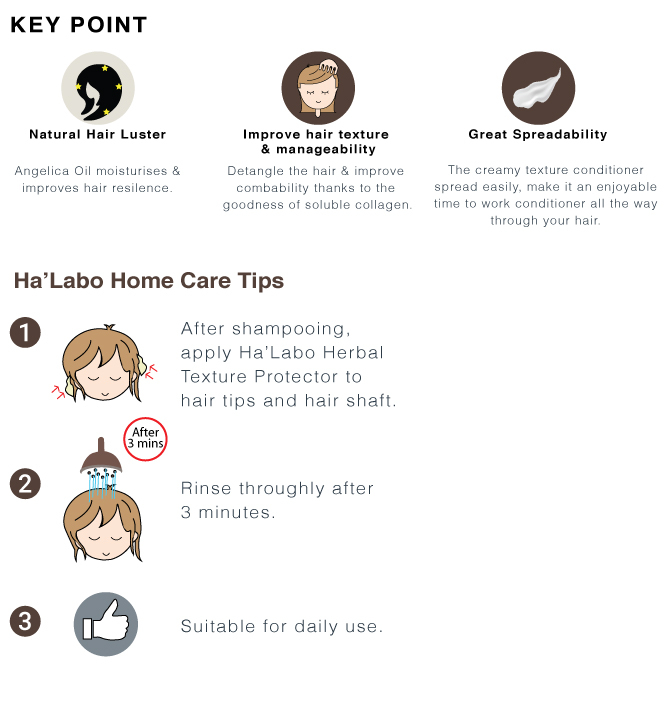 Delight in the pleasurable hair combing and managing experiences by using HA’LABO Texture Protector. The strand building protein ingredients helps sealing hair strands, lubricate the hair surface, reducing the sensation of roughness and assisting combing. 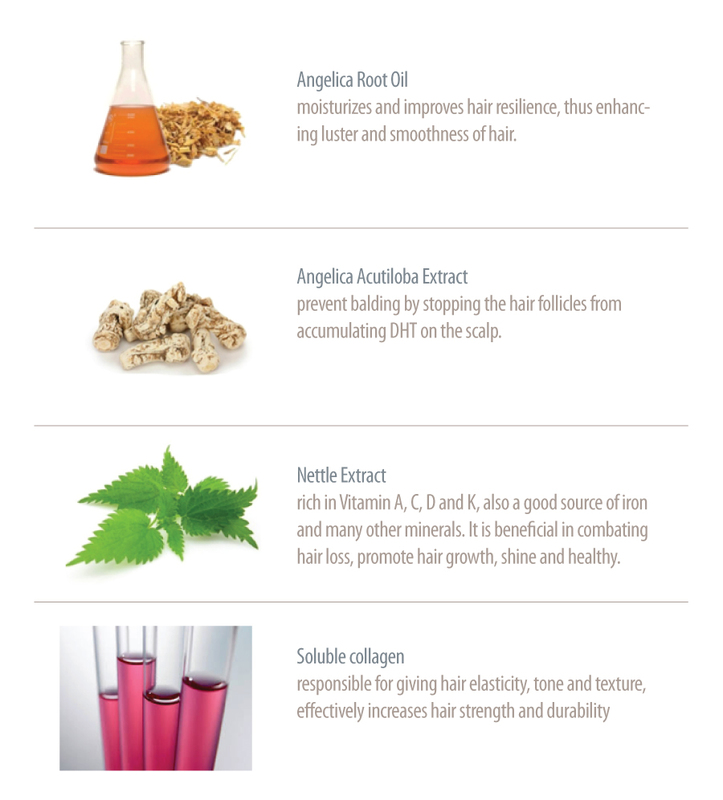 The goodness of herbal ingredients protect hair strands against external UV light ray, allow hair remains strong and smooth for whole day long.